For your IoT experiments, if you want to connect many wireless sensors to your home automation system for example, you need a long range wireless network with low price. And a gateway nearby. 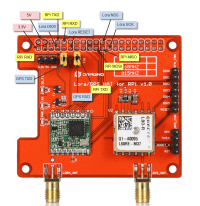 Try the Dragino LoRa/GPS_HAT module together with a RPi. It provides ultra-long range spread spectrum communication and high interference immunity whilst minimising consumption... and costs ! For your IoT experiments, if you want to connect many wireless sensors to your home automation system for example, you need a long range wireless network with low price. And a gateway nearby. 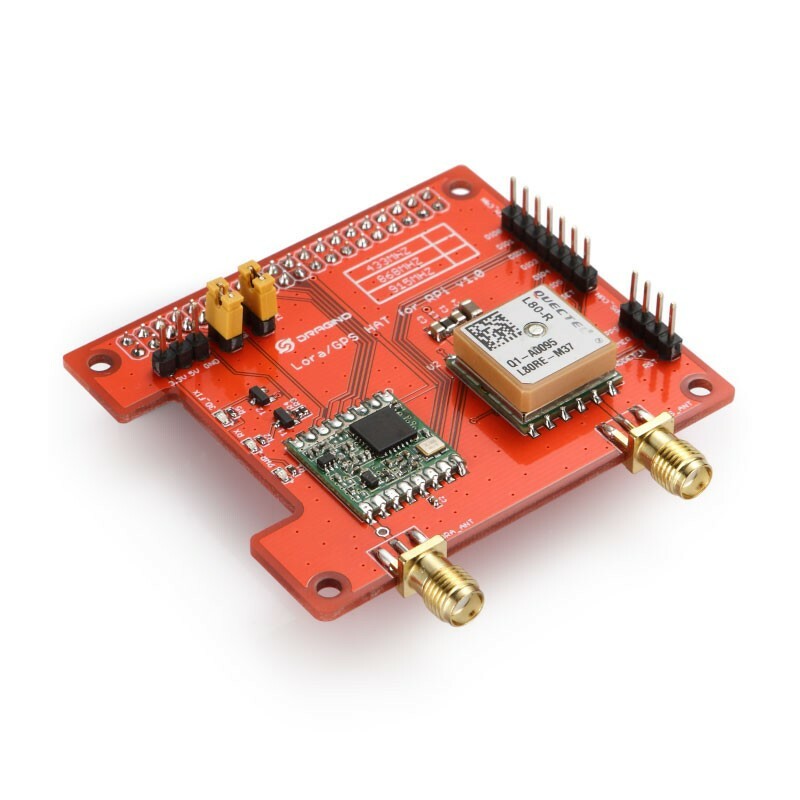 Try the Dragino LoRa/GPS_HAT module together with a Raspberry Pi. This combination provides ultra-long range spread spectrum communication and high interference immunity whilst minimising consumption... and costs ! 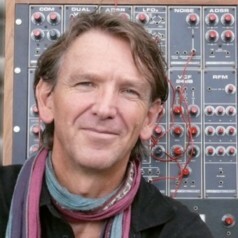 Software is easy to install and to adapt if required. This video shows how easily you can communicate with let's say 20 sensors or more though your own single-channel node. Using Node-RED or a similar flow-based programming tool for wiring together events and devices for the Internet of Things, you'll soon connect your LoRa WAN gateway to your existing homecontrol system. 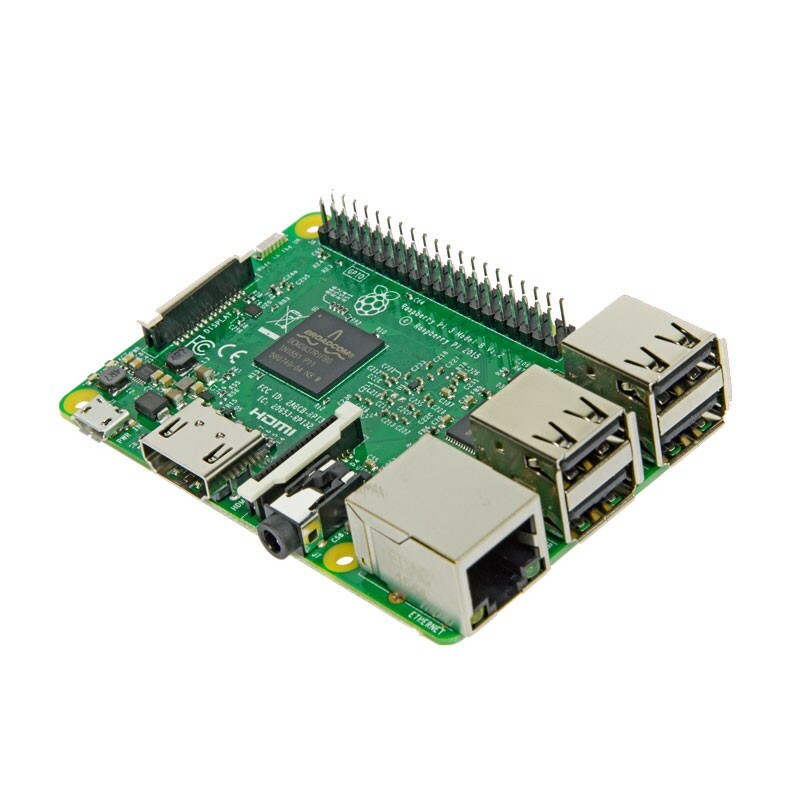 The add-on L80 GPS (MTK MT3339), not used in this example, can be connected via the serial ports to the Raspberry Pi for applications requiring timing or GPS information.